This past Monday Uprise Audio released another brilliant collection of music, this time in the form of a 2 x 12” compilation that showcased artists who will be releasing further sounds under the Uprise imprint. Eddy and Verity have harnessed quite the theme within their imprint’s name. If the consistency and quality of sounds put forth since the label’s inception isn’t testament enough to the dedication and drive of Uprise CEO’s and the artists they sign, ‘The Uprising’ EP will obliterate any questions or doubts. To make things clear: Uprise Audio is not f*cking around and they will continue to assemble an army of sonic samurais, while in the process garnering acclaim and loyalty from the dubstep collective. 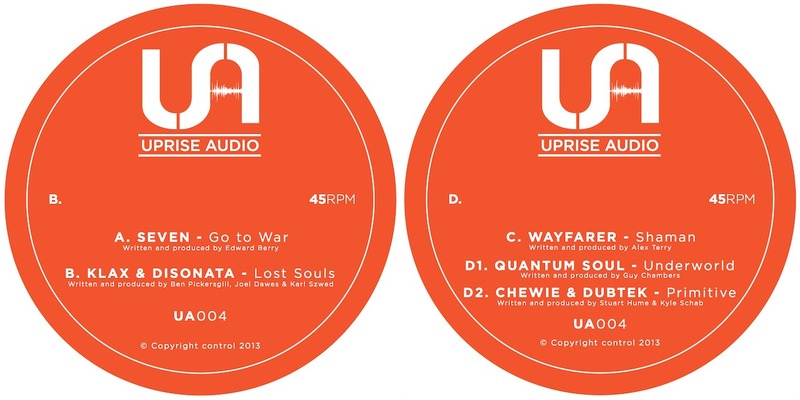 UA004 introduces 5 new artists to the Uprise roster – Klax, Disonata, Wayfarer, Quantum Soul, and Chewie – alongside CEO Seven, and returning heavyweight Dubtek. The tracks uphold a strong sense of meaning to the EP’s title ‘Uprising’. These songs are ridden with aggressive and intentional surges of authority, or perhaps the complete disregard of it. It’s as if the songs speak for themselves in saying “We are Uprise, and we’ve come to dominate the dance.” The first three tracks (‘Go To War’, ‘Lost Souls’, and ‘Shamen’) immediately set this precedent with the thundering drums of Seven and Klax & Disonata, reinforced by the unblunted stabs that Wayfarer has programmed to slice through the sound field. Moods are lightened with the addition by Quantum Soul, as ‘Underworld’ provides a landscape more suited for the shoulda-rolla skank-out sessions with rolling drums and undeniable groove. Chewie teams up with Dubtek to close things out and provide a soundtrack for the march of a victorious but spiritually beaten army, returning home over the bodies of fallen comrades. The release is available exclusively through Beatport in digital format until next Monday, when all digital retailers will have it and the vinyl hits the shelves. DON’T SLEEP. This announcement made my day. Distance will be releasing ‘Set You Free’ ft. Stepa backed with ‘Gorilla Force’ on the 20th of May. Here are some audio clips to hold you over. 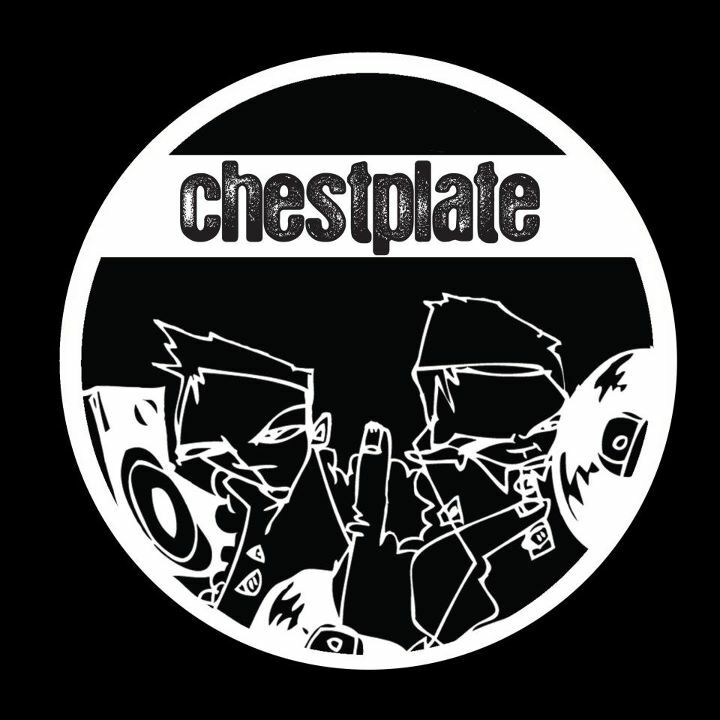 The record will hit the Chestplate Surus store first, so keep your eyes locked. They’ve been kind enough to release a preview from one of the tracks off the album, as well as put together a mix to celebrate the announcement. I’ve listed both below. 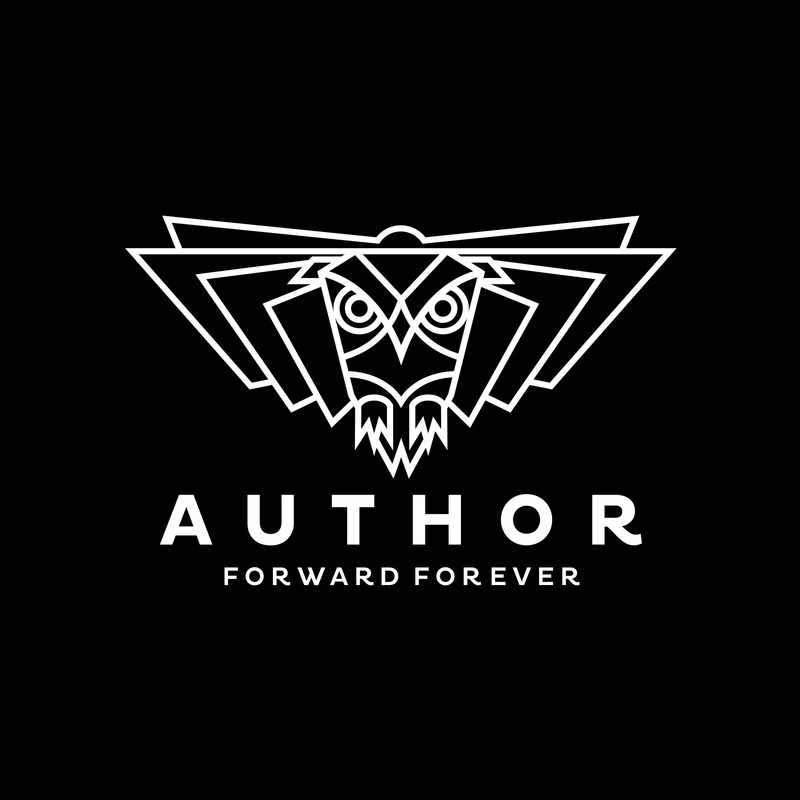 Listeners can rest assured that this album will be of much acclaim throughout the rest of the year, and will likely attain a timelessness similar to the self-titled ‘Author’ LP released on Tectonic. I will keep this page updated as time goes along. Keep your eyes peeled!